There's no secret that I love bling as much as I love my beauty products. So when you give me something that marries the two together, it can only mean heaven on earth for me. And this was the exactly the case when Ciccone decided to repackage their lipsticks to celebrate their 10-year anniversary. 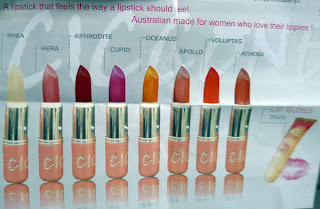 For those who are not familiar with Ciccone (which, until recently includes yours truly), they are a Melbourne based company founded 10 years ago by husband and wife team Frank and Helen Ciccone who prides themselves in bringing women locally produced lipsticks that feels the way a lipstick should! 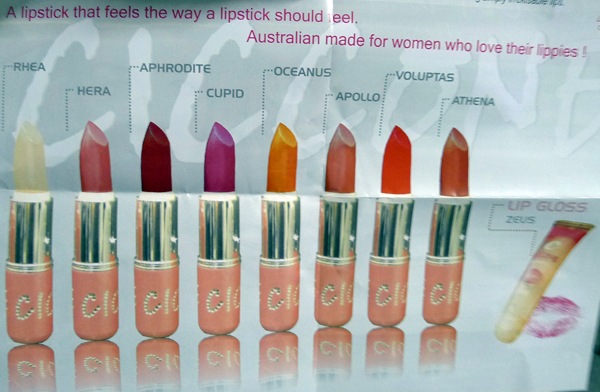 These lipsticks have been named after the gods and goddesses of Greek and Roman mythology so you can inspire to be a goddess yourself with one of these. 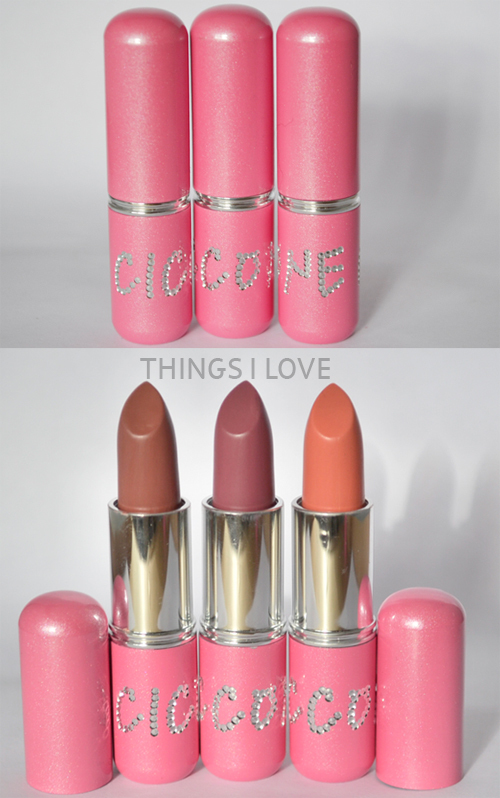 With the 10 year anniversary, the packaging of these lipsticks have been revamped and all I can say is HEART! You only need to take this out after dinner for touch ups and everyone will be asking you about these pretties. The pick fushia casing is fun and girly and the brand name all decked out in diamante adding to the glamour of these beautifully presented lipsticks. What's inside the tubes is equally impressive. These are labelled as long lasting lipstick with high coverage that glides on and feel weightless on application and they weren't far off with these claims let me tell you. These are rich and super creamy on lips and although there was a slight tug, still managed to glide on fairly easily in a single swipe. In fact I can draw parallels on how these goes on my lips to Tom Ford lippies except they are a little less rich (and not as long lasting). Even the cocoa butter flavour is the same. Pigment wise, of the 3 shades I've tried, the darker shades (Apollo and Oceanus) offer more opacity and colour payoff. I'd put these as light coverage for the lighter shade and medium to full coverage for the deeper shades and all provide a soft sheen finish with with some shine. Contains evening primrose oil and jojoba oil (or ester to be technically correct), and vitamin to condition and protect lips and were very moisturising but after about an hour of wear, they start the feel dry on my lips and I'd definitely be slicking on a gloss to hydrate my super dry lips. They last for 3-4 hours without food before fading. The lighter shade Oceanus faded the quickest on me and Apollo was the longest wearing. I found the shades from the promotional material including the website to be quite inaccurate. In real life ,they are quite different from what is being shown, so check out real life swatches of them on The Plastic Diaries and The Best Beauty Blog if you are plan on picking these up online. promotional material shades - very inaccurate! Apollo is a rich cocoa butter brown shade with a warm pink base. It flatters medium to deep skintone individuals and on me, looks a darker version of my natural lip tones. This is a fail-safe office colour for many. Cupid a mid plum based pink tone that is quite cool upon initial application but warms ups after a few minutes when the pink shows through more. It should flatter all complexion types with cooler skintones pulling it off the best. I actually quite like this as an everyday shade that adds a pop of colour but is not too bright or loud. Oceanus is described as a light coral but I think it is more a salmon hue with light pink undertones. It is a very pretty shade but also the hardest of the shades tried to get an even finish as it is less opaque and seems to accentuate all my dry patches and settles on lines very quickly. It fares alot better when a lip conditioner is applied underneath for it to sit evenly on top but as you can see, is too sheer to cover my mid tone upper lips. This shade would look more flattering on those with lighter lip tones and/or on cooler complexions. 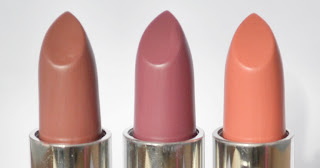 I wished there were more shade options as I really enjoy the formulations of these lipsticks. They are rich, creamy and have a good amount of pigmentation and lasts a few good hours. Being pretty in bling and pink doesn't hurt them one bit either. Ciccone lipsticks is available in 8 shades. RRP A$25 at selected pharmacies or online. These 3 colours all look amazing on you and suit you so well. Oceanus is so pretty but I think Cupid would suit me best! @emma - I've got 2 tone lips my upper lips are more pigmented than my bottom lips so sheerer shades don't show up as nicely. @Melmeko - I love cupid too. I am actually rocking this shade today and 1 swipe and I'm done <3! @Me, my best and! - Cupid is a pretty shade, especially layered underneath a gloss - plum is the IN shade this Spring and this one is perfect! Oceanus must be mine... so so pretty!